The various ways in which participants earn money to support their families. Formal and informal systems of social security. What motivates participants to keep going in their daily struggle to survive. Here is a brief overview of some of their contributions, revealing the constant efforts of these individuals to support their families in whatever way they can – efforts that are so often overlooked. David* from Madrid scrapes together a living from selling all types of scrap: “cartons, pallets, scrap material, metal, leather and clothing.” He explained that in Spain there are municipal recycling centres, where different types of rubbish are sorted into separate containers. David says he “searches these collection sites, but [is] not allowed look in the containers”. Because it is “illegal work”, he has “no rights or fixed hours”. The money he makes enables him to “eat, but nothing more.” It is certainly not enough to support his family. Toni, also from Spain, lives in Alcala. He goes out on his blue bicycle to salvage scrap materials; and sometimes he does odd jobs “for various businesses”. He described his efforts to get into a training program, but they hadn’t been successful. The women in the group sell a wide variety of items, including cookies, tamales, scrap material and clothing. Others go door-to-door selling perfume or distributing catalogues. Those who have jobs usually work in tortillerias or clean and do the ironing in other people’s houses. Members of the Family Solidarity Group in Bukavu had made a list of all the occupations they had taken up in order to make a living: street porter, public fountain maintenance worker, mason, cattle breeder, cargo handler, gardener, mechanic, charcoal seller, broom seller, shoemaker, money changer, local drink seller, roast pork seller, newspaper seller, and government pension agency employee, among others. They went on to describe exactly what they do, the skills they use, and what they had learned from their efforts. Myriam, a vegetable grower, said, “Working as a gardener taught me how to prepare a bed for planting, look for fertilizer, and sow seeds – something I knew nothing about before. Now I teach a lot of people how it’s done, based on my experience”. 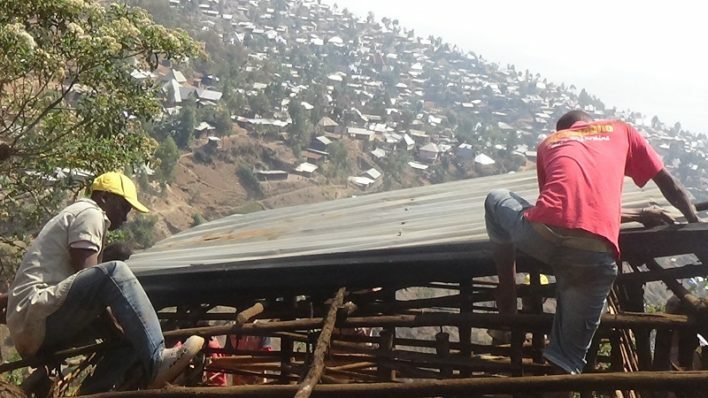 Helping each other in Bukavu. 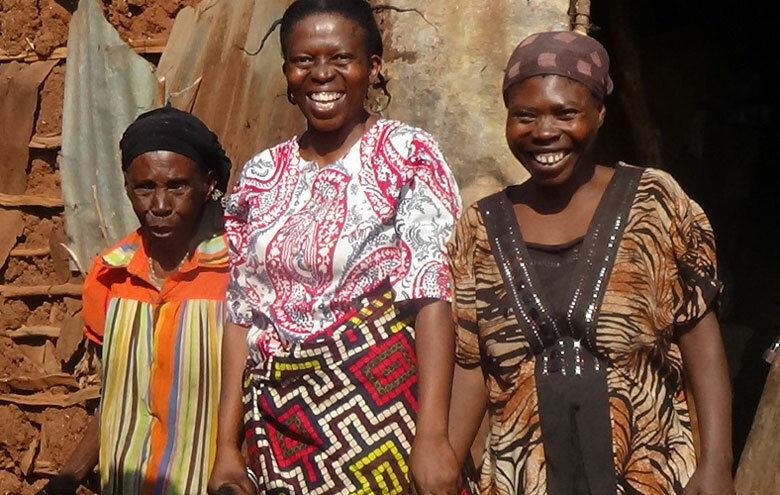 Evelyne from Yaoundé was struck by the fact that members of the Bukavu Family Solidarity Group “leave no stone unturned” to survive. This was just like life in Yaoundé, where people find a similar profusion of small ways in which to earn a living. Despite the great difficulties they experience, individuals and their families the world over make their calculations, plan what they can spend, budget carefully, and try to invest. When necessary, they borrow from people they know, relying on mutual trust and community solidarity. Although in Spain, as in the rest of Europe, there is a formal social security system, David described his efforts to survive as “a bit like playing the lottery”. He explained how difficult it was to juggle his monthly pension of 480 Euros, which “is not enough to pay for food”. This is why he must “supplement this minimal amount by searching for scrap material”. Examples of mutual solidarity between people living in poverty exist everywhere. As the Family Solidarity Group in Bukavu and the Neighbourhood Alliance in Yaoundé demonstrated, getting together and supporting each other allowed them to feel stronger and to benefit from a sense of group acceptance. Simon, for example, had this to say about his work as a street porter, “Although on the face of it this work might seem degrading or humiliating, I respect my job. I value it because my life and the lives of my family members depend on it. My job liberates me, liberates my children, my wife, and my neighbours.” It was because of the encouragement received from the Family Support Group in Bujavu that Simon had come to think of his efforts to earn a living as a true profession. There are also many like Rachel who share their daily worries when the money runs out: “The situation is serious for all the families. My children have to find their own food and it’s difficult to clothe them and care for them if they get sick.” There are others who, when they can, “try to make a small donation towards someone’s marriage or other important event”. Based on the idea of promoting social ties, the group from Yaoundé encourages disadvantaged people to form associations in order to produce goods for consumption or trade. Some women, for example, band together to cultivate vegetables in the swamps, one field per day, to make their production more efficient. Others pool their resources to bulk-buy fish from the markets or trade in foodstuffs. “If they don’t want to carry on going to school, that’s okay: they can go out to work and help us make ends meet”. 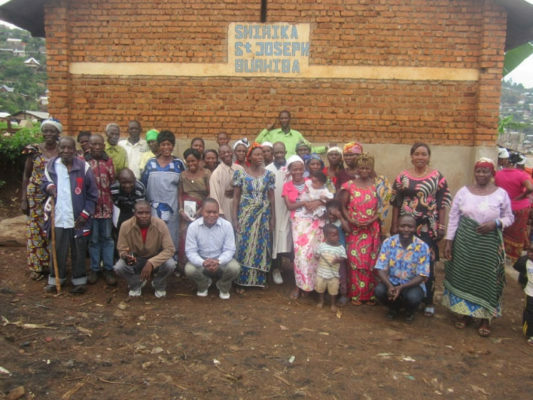 However, speaking from first-hand experience, Marie from the Bukavu Group explained that, in times of financial hardship when there’s no work to be found, a parent is sometimes obliged to become dependent on the children, which for her is a daily humiliation: “I’m ashamed to stay with my daughter, especially as she has eight children and her husband doesn’t have a stable job”. These exchanges between people in very different countries enabled participants to get together and reflect on life’s problems. Overcoming a narrower world-view, they realised that on every continent, even in countries of the so-called ‘developed’ world, people actively earning their living are also marginalized and excluded. The project has ultimately helped the participants to grow in strength and to realize that their combined experiences constitute a rich source of expertise. They hope that one day other people will see that their expertise is indispensable and that it will attract recognition from national and international organizations involved in the world of traditional work. *Names in this article have been changed to protect privacy.